Here at Vrymeer we believe less is more. We do not breed often. We believe in quality over quantity as we work toward our vision within our breed standard. We also believe a Vrymeer pup is worth the wait. By thoughtfully combining sound pedigrees that possess strong breed type and sensible temperaments we are able to produce versatile, amiable, healthy companions that are happy to grace your sofa, the show ring or the field. Vrymeer puppies are exceptionally socialized and raised underfoot as part of our human and canine family from the moment they are born into our hand. We follow the Whippet Health Foundation prerequisites for health testing including annual OFA (Orthopedic Foundation for Animals) Advanced cardiac (echocardiogram&electrocardiogram) & annual OFA eye clearances, as well as BAER testing for deafness, thyroid and Myostatin gene (double muscling). Rhodesian Ridgebacks have had OFA hip/elbow/thyroid/eye/Degenerative Myelopathy and cardiac testing. 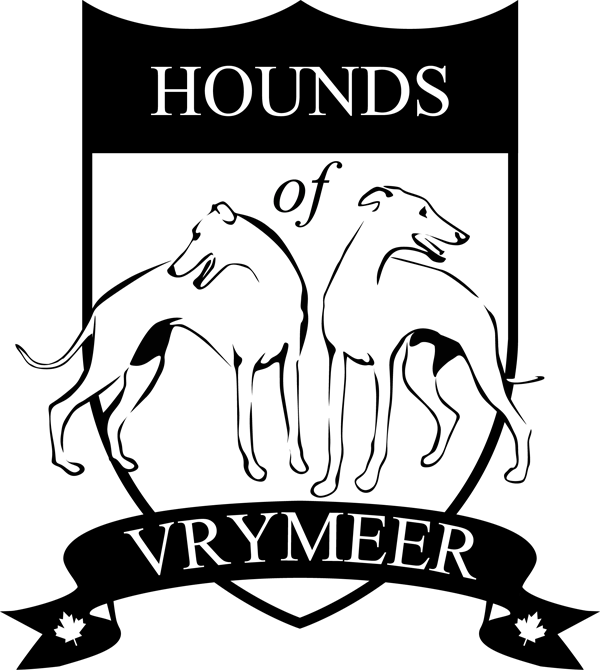 Please come in and meet the Vrymeer Family and perhaps one day you will find yourself part of it.